This is a birth injury medical malpractice case filed on behalf of a two-year-old child in Baltimore County alleging shoulder dystocia lead to a permanent brachial plexus injury against GBMC, a doctor, and related entities. This case was filed in Health Claims Arbitration on August 19th, 2016. It is the 414th medical malpractice case filed in Maryland in 2016. A mother goes to Greater Baltimore Medical Center (GBMC) in Baltimore County during her pregnancy, which is complicated by gestational diabetes. She has an ultrasound done three times. After these ultrasounds, the doctor discusses his findings with the woman and explains his concern regarding her gestational diabetes. The woman opts to have an induction instead of a C-section, and the doctor warns her that she may need to have one if she attempts a vaginal delivery. They schedule the induction. One day before the scheduled induction, the woman's water breaks. The woman reports to GBMC and is admitted early in the morning. Throughout the day, she is given an epidural, and she is monitored. Early that evening, the baby is delivered vaginally. The baby is noted to have left arm flaccid which is a complication of vaginal delivery shoulder dystocia. As a result, the baby suffers an extensive left brachial plexus injury which is a permanent injury which restricts the use of her left arm, for the rest of her life. 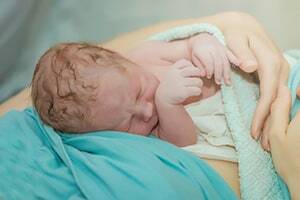 The child and her mother bring a suit, alleging that the doctor should not have attempted a vaginal delivery given the baby's expected weight, gestational age and the risk of gestational diabetes. Plaintiff's malpractice lawyer further maintained in the lawsuit that the OB/GYN applied excessive traction during the baby's delivery. The expert report from Dr. Soffer is pretty bare bones so we have a lot of questions that do not have answers. It is unclear how severe the child's injury will be. The child is two-years-old, so we may not even yet know the severity of the injury. The Complaint says "restricts the use of her left arm" but obviously there are relative degrees of restricted use. Shoulder dystocia is a well-recognized obstetrical complication that the OB/GYN has to navigate. Shoulder dystocia occurs when a baby's head is delivered and but the baby's shoulder is stuck on the mother's pelvic outlet. With the head delivered, and the shoulder stuck, the brachial plexus is vulnerable to lateral traction. What is lateral traction? It is the upward, downward, or rotational pulling force to the infant's head. As a result of this trauma, the brachial plexus can be unduly stretched. To battle through shoulder dystocia, the proper performance of standard maneuvers designed to release the impacted shoulder is required. The standard of care of an OB/GYN requires that the delivering doctor avoids excessive traction. A procedure called the McRobert's maneuver, suprapubic pressure, delivery of posterior arm, and Woods' corkscrew maneuver are other weapons to ensure a safe but timely delivery. What is the evidence of excessive traction? Presumably, this comes from the testimony of the mother and the father if he was also in the room. It would not be a surprise to get a motion in limine arguing that there is no medical trained eyewitness of excessive traction and "no evidence in the record" of excessive traction. Have you suffered as the result of the negligence of a doctor, nurse or hospital? Our law firm may be able to help you get the compensation and justice for you and your child for the awful harm that has been done. Miller & Zois has a very long history of results in medical negligence claims in Maryland, earning large verdicts and settlements. Call us today at 800-553-8082 to speak with a medical negligence attorney who can help you or go online for a free online case review.